Come for the racing. Stay for the fun! Kids! Show your stuff in our FREE Kids Fun Races. You can race on the same course as the big kids. Open to all kids up to age 12, the Kids Fun Races take place at 2:30 – right between the biggest races of the day. Best of all, everyone wins a medal! 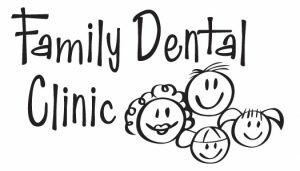 Family Dental Clinic Dash Kids Fun Race starts at 2:30! Kids we need your help! We’ll be making a non-perishable food donation to the Sabathani food shelf in South Minneapolis. Bring a donation for a family in need when you register for the race. Check out the latest cycling gear, win prizes and sample some great treats in our Family Fun Zone. Try your hand at the prize wheel. Register for great drawings. And don’t forget to pick up the souvenir Big Waters Classic t-shirt. Kids – Come early and have some fun in our Kids Activity Area. Make some art, get your face painted and much more. We’ll have artists on hand to help you make the coolest race souvenir ever! Thanks to: The Create Everyday Classroom and ARTrageous Adventures! Designed by Nomad Marketing | Powered by Pedals!